The population of Ireland reached a peak around 1841, a level it has still to match, famine and emigration led to a rapid fall from 1845 onwards. The population of Ireland in 1841 was at a historical high, as shown by the census taken that year. At a time when records were kept regularly but infrequently however, such measures can only be approximate. The 1841 census showed that there were 8,175,124 people living in the four provinces of Connacht, Leinster, Munster and Ulster. Only 40 years later at the 1881 census, this figure had fallen by over 3 million to 5,174,836 , 37% fewer people than there had been This figure continued to fall to a recorded historical low of 4,228,553 by 1926. 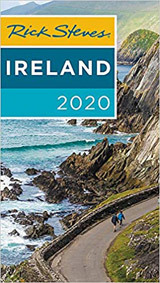 The population increased slowly to a figure today of about 5,602,603, this is made up from 3,917,336 in the Republic of Ireland (Census 28 April 2002) and 1,685,267 (Census 29 April 2001) in Northern Ireland. the 1841 and 1851 censuses are likely inaccurate, though better than earlier measures. The "Great Frost" of 1740-41, Bliain an Áir, or Year of Slaughter, was a period of unusually cold weather that lasted from around December 1739 to September 1741, it was an event that affected the whole of Europe, though seemed to have its worst effects in Ireland. Deep frosts only occurred during the winter months, but there was little real respite afterwards as the spring and summer weather was unusually cold and dry leading to the death of livestock and the failure of crops, and therefore an inability to prepare for the second unusually cold winter. Records are scant and the population size only an estimate, guesses as to the loss of life largely through starvation at this period are up to 38% of the population. Why did the Population Fall in the 1800's? Ireland had always had a reasonable amount of emigration, to the USA and England in particular with around 1.5 million leaving in the 30 year period from 1815 to 1845. In the latter half of the 1840's, this steady but narrow stream was to increase to a flood. 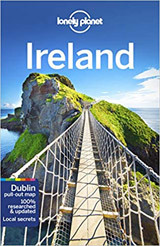 The reason for this was the Great Famine that itself caused the deaths of an estimated 1 million inhabitants, another 1 million are estimated to have emigrated by 1851. Today there are approximately 1 million Irish-born people living abroad and around 70 million who can claim some Irish ancestry. 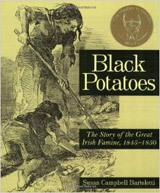 Through the 1830's and 1840's, the rural population of Ireland had become very dependent on the potato as a staple part of the diet - over dependent in fact. The price to pay for this dependence was to become the famine of "The black forty seven" in 1847. The cause of the famine was a disease called Potato Blight, caused by a fungus Phytophthora infestans. This fungus was not new at this time, it had caused the loss of crops before the 1840's with some regularity, in 1830/31 particularly bad outbreaks of potato blight had led to localized hardships in some parts of Ireland and reduced a good many families to begging to stay alive. What was particularly bad and ultimately tragic about the outbreak was that it wasn't simply one poor season for potatoes, but a series of poor seasons that had begun in 1845 when a third to a half of the potato harvest was lost, this was followed by an almost total loss of the potato crop in 1846. Phytophthora infestans like most fungi enjoy damp conditions and these years were especially damp even for a regularly rain-drenched island such as Ireland. So the fungus became more common place and widespread and there were precious few places where a good potato crop could be grown. The spores of the fungus are spread in the wind. This disease is particularly fast acting once it strikes, a healthy looking crop can be destroyed in a matter of a few days. The leaves and stems of the potato plants are quickly blackened and die, by this time the potatoes underground are almost invariably affected too and inedible. The potatoes are mushy and smell badly, blighted fields could be recognised by the smell from some distance away. The potatoes grown in Ireland at the time and eaten by the poor were almost exclusively a variety called the "Irish Lumper", it was particularly susceptible to potato blight though the other varieties grown at the time were not really any more resistant. 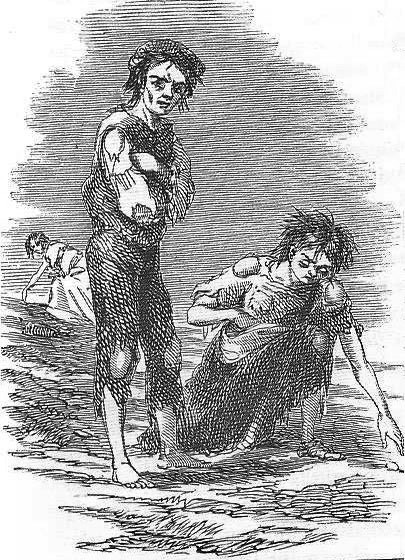 A particularly tragic aspect of the famine is that despite the failure of the main crop that should have provided the staple diet for over a third of the population (generally the poorest third) Ireland did successfully produce a good crop of grain in 1847. This grain was owned in the main by absent landlords and was exported for cash while many of Ireland's own people were starving. Despite the over-reliance on potatoes, grain is unaffected by the potato blight fungus and this could have averted the worst effects of the famine had this grain been used at home to feed the people. The poor were often reduced to looking through the ravaged potato fields for any whole or part potatoes that had escaped the disease and so were edible. The 1847 potato crop was somewhat better, though again blight struck in 1848 and 1849 when disease compounded the effects of starvation. Cholera in particular struck the weakened people killing more than had died from starvation itself. In 1850, the crop improved and potato blight never appeared on the same scale again. 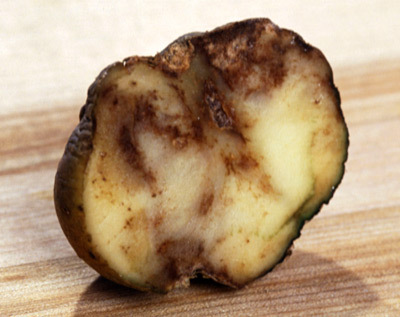 Potato blight is still around today, though fungicides (first developed in the 1880's) and resistant varieties mean it does not threaten crops as it once did. Changes in society also mean that we are unlikely to see any repeat of those events. 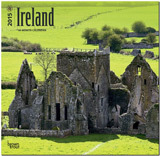 The Great Famine in Ireland was the greatest disaster of 19th century Europe. Potato blight affected the whole of Europe but only Ireland had such a large proportion of the population dependent on potatoes for food, Ireland also suffered from social injustices that exacerbated the effects of the famine rather than having a structure that was able to reduce them. The Great Famine is seen as the great watershed in Irish history leading eventually to the break up of what was the United Kingdom of Great Britain and Ireland leading to an independent Irish Republic. Emigration had always been an aspect of Irish life, but the famine speeded up the flow enormously. Emigration was not an easy way out by any means, as well as the usual worries and problems of leaving home and going to a new foreign country, there were additional difficulties of a lack of funds to pay for the trip and also a lack of money for provisions on the trip. The fares were around 55 shillings to Canada, and 70 to 100 shillings to the USA (20 shillings = £1). Travel on board the ship was either in standard class or steerage. Standard class included berths and the passengers could walk on the decks (small though they were). Steerage passengers were treated more like livestock, they were crowded together below decks, often not being allowed to use the deck. For the majority of emigrants, steerage was the most they could afford. Many people who left Ireland by ship for the United States in particular never arrived, dying of starvation or related disease en route, disease that was made worse by the cramped and unsanitary conditions on the ships. Some of the ships that left Ireland during these famine years were known as "coffin ships" for good reason. On some ships up to 40% of passengers died during the voyage or shortly after arrival. Overall about 1 in 7 did not survive the crossing. The pre-famine rate of emigration in 1845 was at around 50,000 per year. 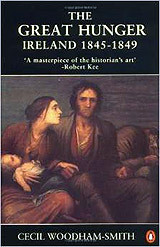 The next year 1846 as the famine started to hit hard 100,000 left. The peak was in 1847, the hardest famine year when 250,000 left. It continued at an average of around 200,000 per year for the next five years, before beginning to fall again. 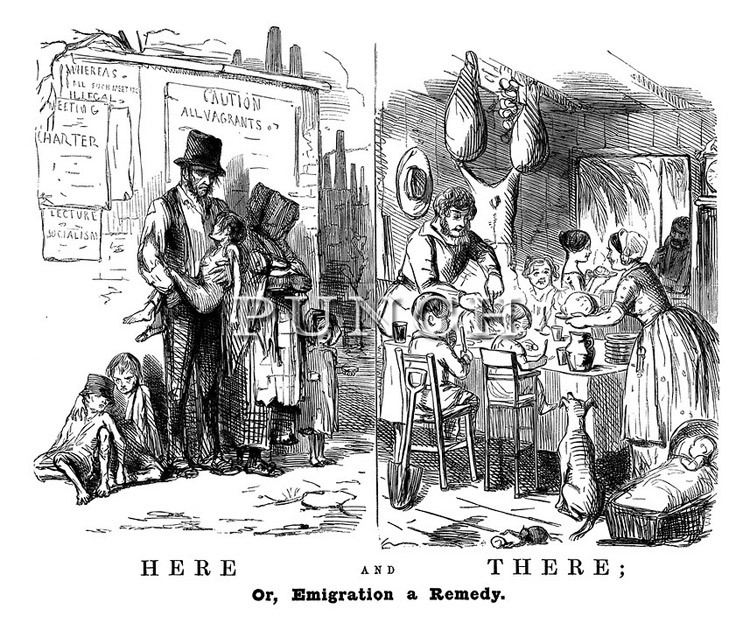 Caption reads: "Here and There, or, emigration, a remedy"
Emigration was not always an active choice on the part of the emigrant, there were so called "landlord emigrations" where landlords would pay for the poor living on their land to emigrate. In this way, the landlord reduced the taxes that they had to pay. The economics were quite straightforward, the cost of emigrating a pauper was about half the cost of maintaining him in the work-house for a year. Once the ship had sailed the emigrants were usually never seen again, they could return only with immense difficulty. In 1847 there was a strong temptation by many landlords to ship off as cheaply as possible those unfortunates who, through age, infirmity or the potato failure, had become useless and an apparently endless source of expense. Between 1840 and 1850 about 70% of emigrants went to the USA, 28% to Canada and 2% to Australia. Many emigrants did eventually make something from the opportunities that emigration gave them, particularly the young and fit men. Once in their destination country, the emigrants problems were far from over however. 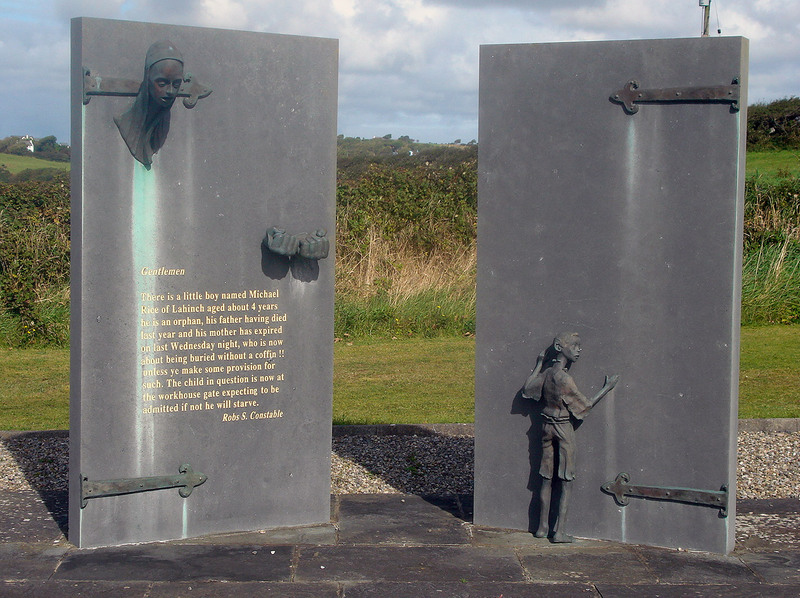 Arriving without funds, often ill, often illiterate, sometimes resented or unwanted and the target for every crook and low-life who saw them as easy pickings for what meagre belongings they had, the emigrant still had an uphill struggle. There is a little boy named Michael Rice of Lahinch aged about 4 years he is an orphan, his father having died last year and his mother has expired on last Wednesday night, who is now about being buried without a coffin!! unless ye make some provision for such. The child in question is now at the workhouse gate expecting to be admitted if not he will starve.